One can hardly believe that a simple initiative like doing away with Homework can make page four of the Sunday Times and a lead article in YOU magazine. TV, radio and print media carried this revolutionary story at the end of the year and into the new academic term. It doesn’t take a rocket scientist to know the education is chronically ill in our country. Under funded, under resourced with poorly trained education leaders and ill-equipped teachers presents a dismal picture of our schooling system. In the few “good schools” left, students are finding the going tough. 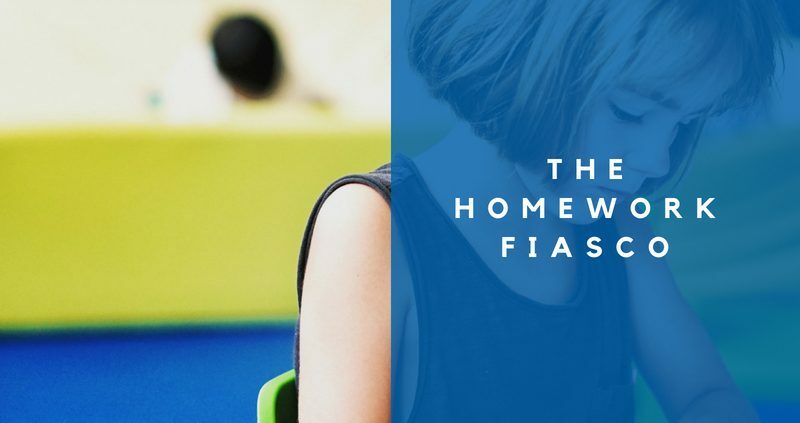 Anxiety levels are high and parents are feeling the pressure to assist with Homework in the evening. Schools who are committed to quality teaching and learning are committing time to rethinking the function of education. 21st century schools have the added benefit of a neuroscience base. Today we know how the brain learns. We know that the brain is designed to forget anything that is not essential for the body’s survival. Retaining endless lists, names, theorems, algebraic equations, concepts, attitudes and values is not a natural practice. It takes intensive effort by the educator to create the right state for the brain to glue non-survival data into memory banks situated all over the body and in peptides in the blood system. We now know that the ability to be successful is no longer based on IQ, EQ or even talent. Giftedness is a fallacy. These ancient myths continue to permeate backward schools. Angela Duckworth (PhD) and Prof Carol Dweck of Stanford University are now proving that success is rather linked to passion, perseverance and the ability to stick to long term goals. They call it GRIT! No longer does practise make perfect. In fact, practise makes permanent. Unless you practise in the presence of a master coach, you are wasting your time. And few parents are master coaches. The master coach is in the classroom. The master coach is the highly qualified educator – not necessarily qualified in the content base – for knowledge changes too quickly to add any value to a specific degree of knowledge mastery, but rather, highly qualified in the ability to teach and coach. Too few teachers in 21st century schools are able to teach. Homework is not necessary if there is good teaching. Good teaching must be supported by good support for teachers. Whole school conscious discipline and interventions must be in place to ensure that everyone feels safe and has a sense of belonging. The healthy mind platter designed by neuroscientist David Rock (PhD) and medical doctor Daniel Siegel clearly indicates that our day must include the super seven slices: sleep time, exercise time, focus time (school), connection time (being with friends and family), down time (doing nothing), in time (meditation/prayer/yoga) and play time. If we are encouraging our students to sleep for 9 hours a day and attend school for a further seven, 16 hours are already used up. To spread the remaining 8 hours over five slices leaves no time for Homework. When we cram more into the day, we end up with adults who are mentally unstable. The future adult cohort is in our schools today! School must deliver the curriculum under the supervision of a master coach. School must then end – students must play their sport, rest, chill with friends, surf a few waves – spend time with family over a meal and end up in bed reading a good book. 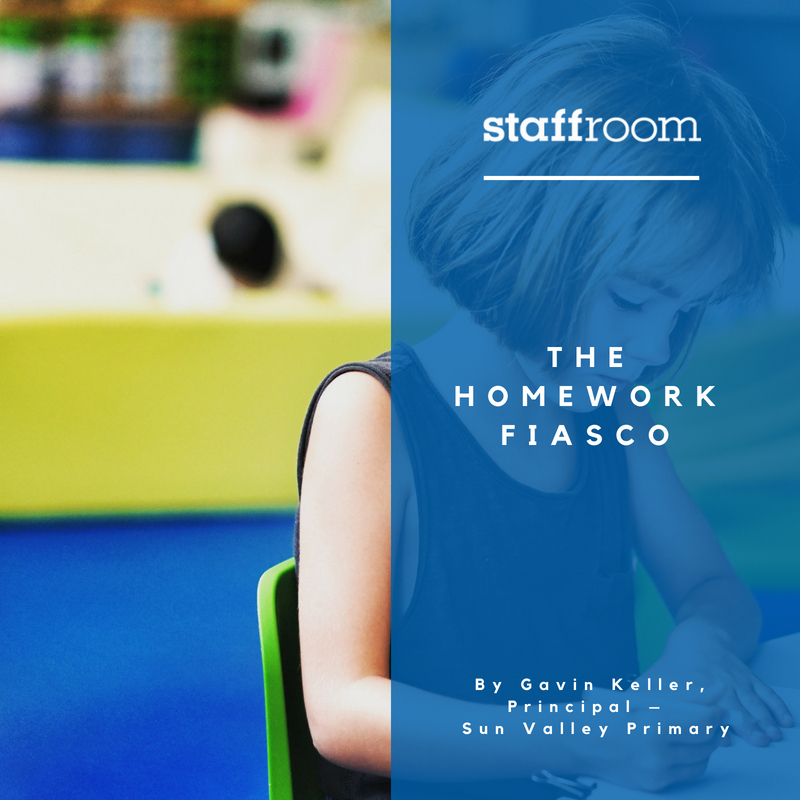 At Sun Valley, we bartered Homework for Reading. Commit to 20 minutes of reading your favourite novel or graphic novel and we won’t set Homework. And it worked. Teaching time became focused. Class time was useful. Master coaches assessed performance in class. The Sport field is now corner to corner every afternoon with kids and they are going home fit, passionate about learning and determine to achieve their personal goals with perseverance. This is 21st Century schooling at its best – and hopefully a more stable future adult cohort! Our first Staffroom client, Gavin is a passionate educator and school leader who has used his research in neuro learning and leading to change a school and the community. He shares the practical application of his studies with schools, corporates and leaders in order to improve performance and the quality of life. His guidance is simple, humorous, but dynamic, a treat for all! *** The views reflected in content or links on the Staffroom blog are not necessarily those of Eiffel Corp nor it’s affiliated products. Eiffel Corp expressly disclaims all warranties, expressed or implied, as to the accuracy of any the content provided, or as to the authenticity of the information for any purpose.